Even though mobile gaming apps comprised the largest chunk of app download from different app stores in Bangladesh, the mobile gaming industry hasn’t flourished here in satisfactory scale because of several reasons. Bangladesh’s total revenue from locally developed mobile games has not reached $5 Million event though it has a present gaming market of more than $15million. Experts concerned with the industry said that the mobile game development could be the next big thing in the IT sector only if systematic approaches are taken in creating game developers. 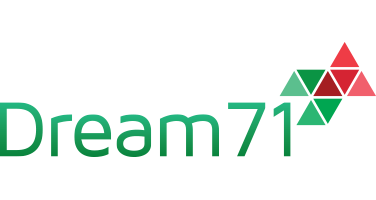 Rashad Kabir, Managing Director of Dream 71, one of the emerging mobile app companies of Bangladesh said that even the people inside the IT industry have a lack of understanding about the whole mobile gaming business. “If we want to do well in the mobile game making industry, we first have to understand the business aspect of it,” said Rashad. Nabila Rahman, managing director of Aurko Technologies Ltd said to have a presence in the global market, the mobile game developers of the country must have a realistic strategy. “The first thing you should do is to think about the visibility. If you do not have visibility, your apps won’t be downloaded. We are not talking about five or ten thousand downloads. If you have at least one million downloads that’s what counts,” she added. Nabila said that the way to do that is through advertisements. “My company facilitates that. You have to have 35 percent of your total budget spent for your visibility, your promotion and mobile digital ads. Last year six billion dollars were spent just on advertising for apps in the US,” said Nabila Rahman. Mohammad Shahjalal, managing director, 8Pears Solutions Limited, a mobile gaming app company said that if someone wants to place an advert of an e-commerce site in an app, that is not possible now. To be able to do that one has to have a foreign account. “This is very inconvenient because the main money from a game will be generated through the advertisements placed and if we have to do that through a foreign account, then that’s a major problem,” he added. Mohammad Xane Alam Raabid, project consultant of the ‘Skill Development for Mobile Games and Applications’ project of the ICT Division of the government said that the ICT division has taken this project to systematically build the mobile game development sector. This project has three main components. The first component is resource supply and development. Most of the young mobile game developers commonly suffer from scarcity of resources, both hardware and software. “So, we are creating thirty-eight labs for mobile games and apps across the country. These labs will give access to all potential developers to come in and use the facility, after the necessary authentication. Every kinds of resource will be available there for developing games and apps,” he said. He said that from the project, they organize some idea innovation workshops soon. After developing those apps the ICT Division will buy those from the developers and later give those back to the developers for further development. “The government will not retain the ownership. The developers will own those apps and can upgrade those and release those in the market. They will be the earner of the revenue generated from the games” Raabid added.